Purchase tickets for the 2019 Memories in the Making Art Auction & Gala, an evening of incredible food, live and silent auction, raffle fun and entertainment for a charitable cause. The Alzheimer’s Association Oregon & Southwest Washington Chapter is the leading volunteer health organization in Alzheimer’s disease care. Serving 38 counties in Oregon & Southwest Washington, with offices in Portland, Salem, Eugene, Bend and Medford. Since 1980, the Association has provided reliable information and care consultation; created supportive services for families; increased funding for dementia research; and influenced public policy changes across the state. Looking to change the live's of those affected by this disease? Find help and resources in Oregon & SW Washington. 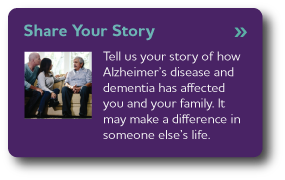 Our early-stage programs seek to elevate the voice of those living with early-stage Alzheimer's to change public perceptions about who has the disease. The Alzheimer’s Association Oregon Chapter provides education and support for people diagnosed, their families, and caregivers. Our work is made possible by gifts of all sizes. Help us provide care and support, education programs and ultimately change the course of this disease. Learn how you can give back to your community by participating in a local rewards program. Learn how you can alleviate the burden of Alzheimer's in your community with one of our many sponsorship opportunities. Get involved in an event near you! Learn more here. Our volunteers are passionate and inspired, and they want to make a difference in the fight against Alzheimer's disease.